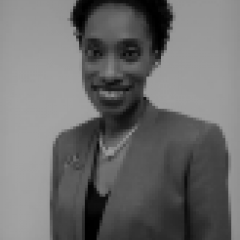 Ms. Karah Whitter is the Data Analyst at the National Education Inspectorate (NEI), Jamaica. Her responsibilities include but are not limited to the collection and analysis of data on the agency's performance as well as data related to the support of the research needs of NEI's stakeholders. During her time at the NEI, she has been integrally involved in education leading research in the collection, analysis and dissemination of data related to schools' performance. In addition to her skills as a researcher, Ms. Whitter ably guides and co-manages the NEI's website which has provided information to approximately 80,000 users in the last year. Ms. Whitter is a well-rounded educator who has successfully combined her training as an Urban and Regional Planner with a Master of Arts in Teaching, and her natural affinity for technological innovation to the work of the NEI.